You search for new gutters and downspouts for your Oak Grove, Missouri, area home can end with 31-W Insulation. Our goal has always been the same since our founding in 1972, namely to provide our customers with superior products and exceptional services. We’ll make this our goal for you, and you can trust that we’ll follow through on this claim because we have earned an A+ rating with the Better Business Bureau. The quality of our installations are second-to-none as well. A team of our factory-trained professionals will cut your gutters at the jobsite after measuring your roof to ensure your gutters will fit appropriately and catch all the water that comes off your roof. They’ll then install them flawlessly. You’ll be covered after the installation, too, because your gutters will come backed by a fantastic 20-year limited manufacturer’s warranty. 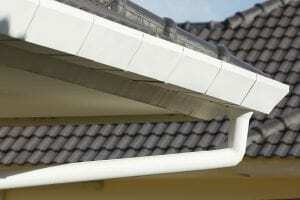 Contact us today to take the first steps towards getting new gutters and downspouts for your Oak Grove, MO, area home. A 31-W Insulation associate will be happy to meet at your home for a free consultation and provide you with an estimate.